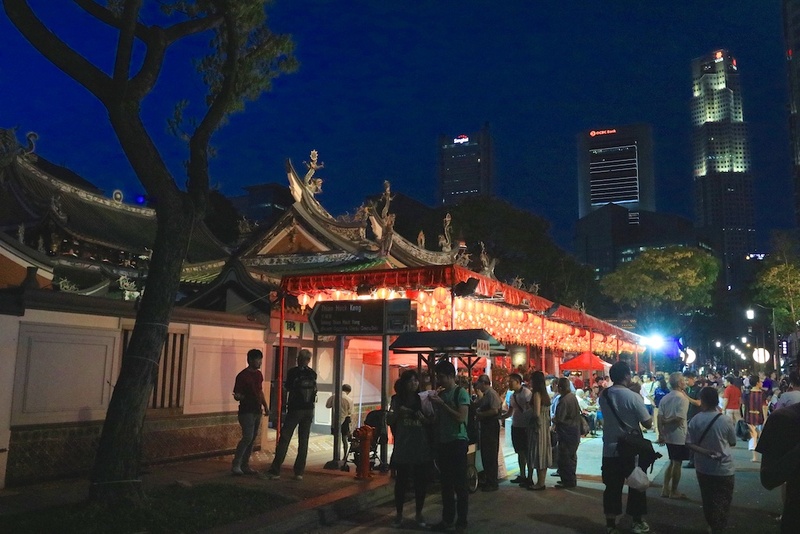 The Singapore Heritage Fest 2015 started on 17th April 2015 for a month of many different heritage festivities. There were many exciting events, programmes and activities that were organised and conducted during the Singapore Heritage Festival 2015. Due to my recent heavy workload and work commitments, I wasn’t able to attend and enjoy many of the various events and programmes organised during Singapore Heritage Fest 2015. I did manage to attend the weekend highlights – Telok Ayer Street Light Up and From The Belly of The Carp at Singapore River. 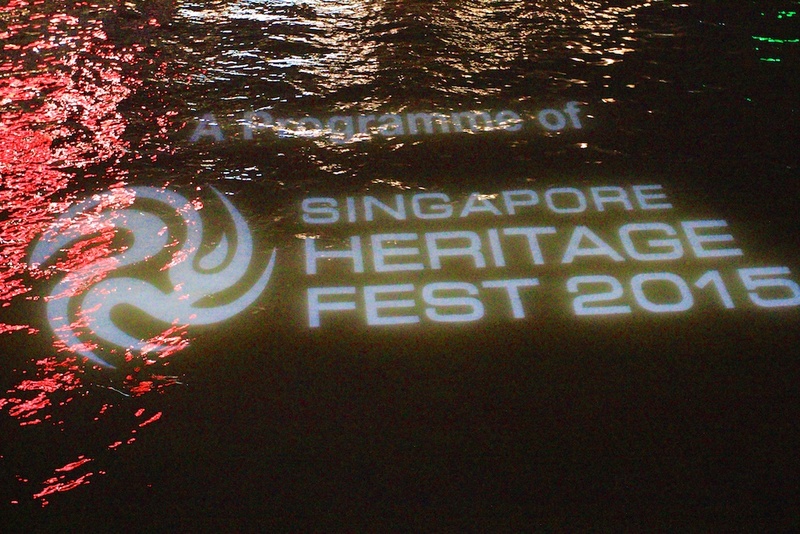 These were two light projection events on Singapore’s heritage, history and culture. At the Telok Ayer Street Light Up (8th and 9th May 2015), a small section of the road, Telok Ayer Street, between McCallum Street and Boon Tat Street, was closed to the traffic and people can just walk freely along the road. This is a very historical and significant road in Singapore’s history, it is one of Singapore’s oldest roads and has six National Monuments in its precinct. 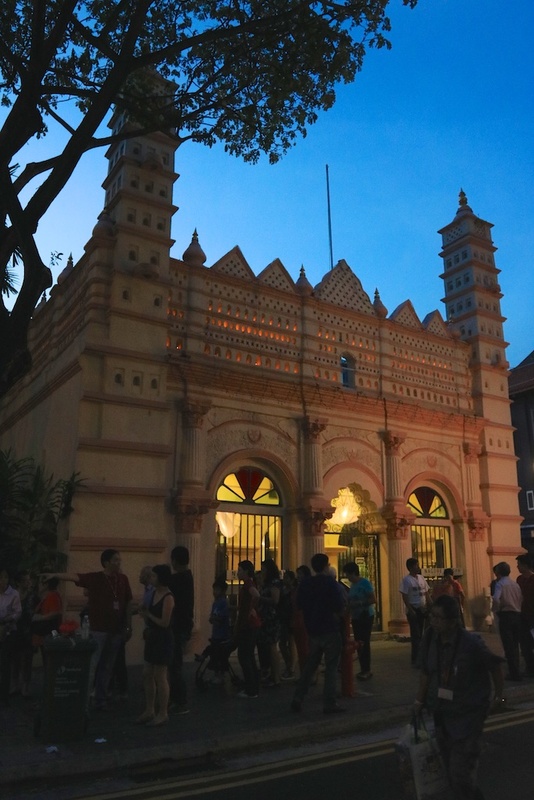 Telok Ayer was the area where the early sea travelers and immigrants from the various communities visited to give thanks and express their gratitude for a safe passage at their places of worship. There were special light projections on some of the National Monuments, celebrating the long and rich history, heritage and culture of Singapore. 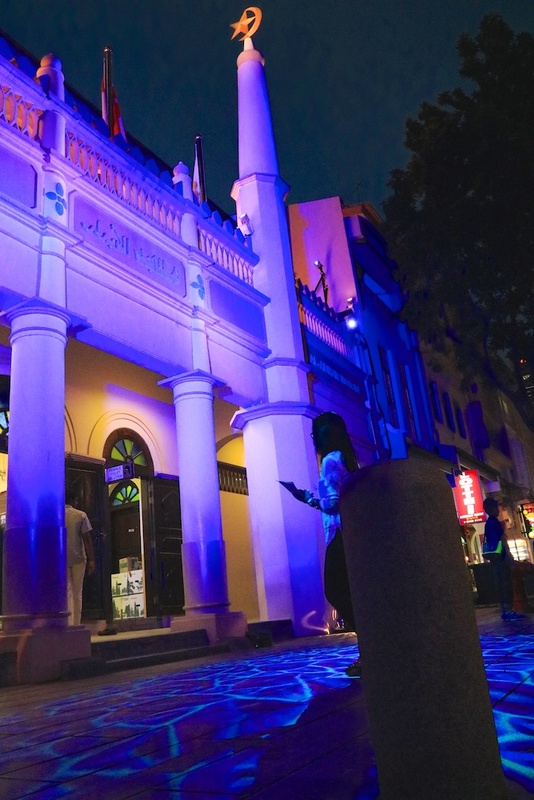 The light projections gave the places of worship along Telok Ayer Street a rich and colourful aura to their architecture, design and artworks, with many people taking photographs of the colourful light projection displays. Along Telok Ayer Street, there were wooden push carts, peddling food/drinks/tidbits, replicating the scenes of early days in Singapore’s history and there were also stage performances. Having work in the CBD for a number of years and my previous job office location wasn’t too far away from Telok Ayer Street, it was really nice to see the historical and cultural Telok Ayer Street given greater awareness and highlights from the SG Heritage Fest and the special light projections! 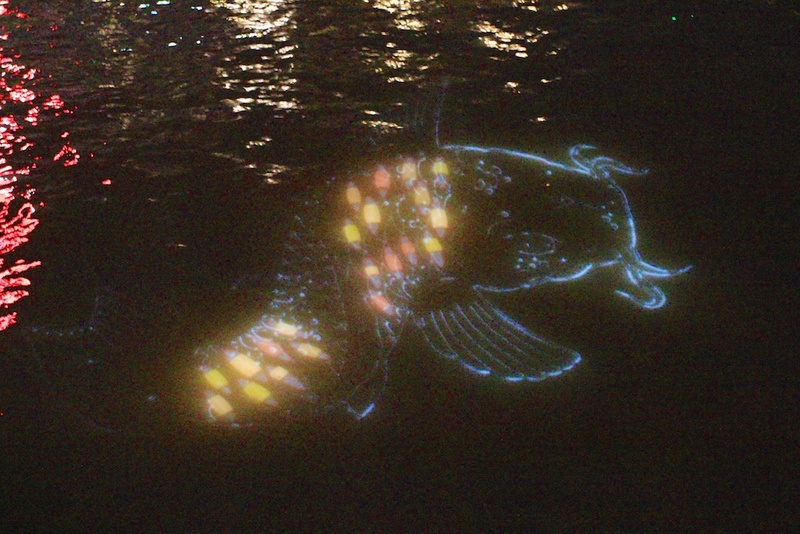 The other light projection event was From The Belly of The Carp at Singapore River (15th and 16th May 2015). 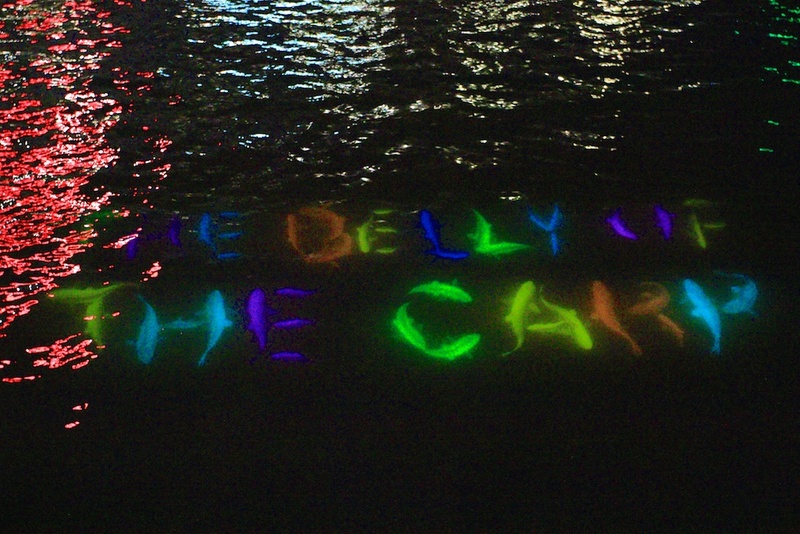 This was something very interesting, it was a light projection display on the waters of the Singapore River! From Singapore Heritage Fest 2015, I learned that the south bank of the Singapore River was named “Belly of the Carp” by locals due to the shape of the river at this wide band, near Cavenagh Bridge! 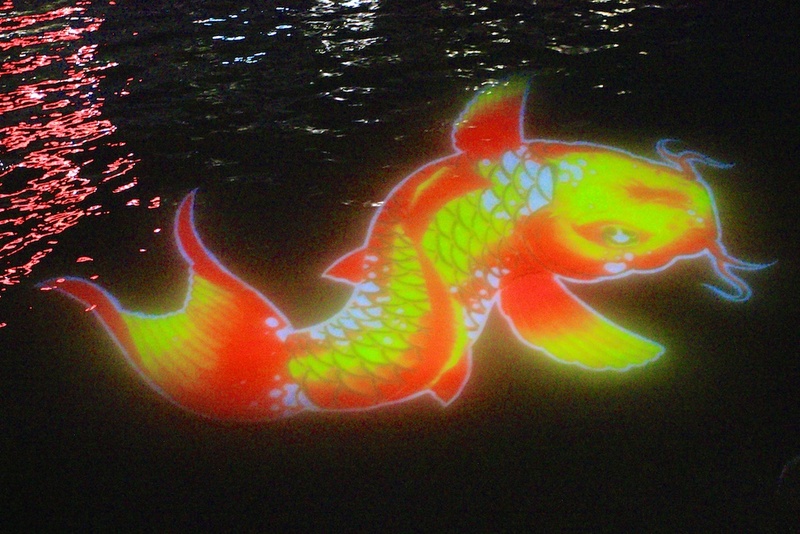 The golden carp is an auspicious symbol for abundance and good fortune, that was how the Singapore River became an important part of Singapore’s growth as a trading port and commerce in her early days. At the widest point of the Singapore River, there were many shophouses, godowns and warehouses that were once the heart of Singapore’s trading and commerce. Watching the light projection display, it was colourful and most fitting to the history, culture and rise of the Singapore River, the trading port and commerce of Singapore’s early trading days. Even though I was only managed to cover these two special light projection events of the Singapore Heritage Fest 2015, I am glad that I managed to document and photograph them! Check out my Flickr collection for more photos!